MSNBC host Joy Reid is once again facing scrutiny over a years old blog posts, this time for her promotion of a documentary asserting that 9/11 was an inside job. In one post from her now-shuttered blog "The Reid Report," dated March 22, 2006, Reid urged her readers to watch "Loose Change 9/11," a film series produced in part by Alex Jones that put forth a number of conspiracy theories related to the September 11, 2001 terrorist attacks -- chiefly that they were carried out by the United States government. "The fundamental question is: do you believe the official story of 9/11?" Reid wrote in the post, which has been preserved by the internet archive site Wayback Machine. "If you do, great. If you don't, then everything that happened after that is called into serious question. Even if you're agnostic, or you tend to believe that al-Qaida attacked the World Trade Center and Pentagon and that the government had no warning such a thing could happen, it's worth taking a second look." The post was first reported on Wednesday by BuzzFeed. A spokesperson for MSNBC did not respond to a request for comment; Reid could not be reached. In another post from the same month in 2006, which was also unearthed by BuzzFeed, Reid asked, "how and why did WTC 7, which wasn't hit by an aircraft, collapse? For that matter, why did any of the WTV [sic] buildings fall...?" "Anyway, just a bit on interesting nostalgia... Somehow I think it will be a generation before we get the full story on what happened on 9/11?" she wrote. The posts have brought yet more attention to Reid's blog, reigniting an embarrassing controversy that surrounded the popular liberal commentator only weeks ago. 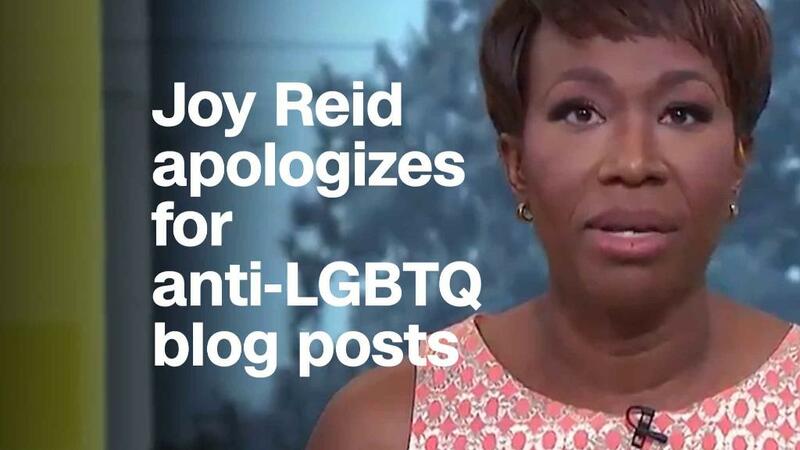 Last month, Reid claimed that a number of old posts containing homophobic sentiments were in fact placed on her blog by hackers. Reid hired a cybersecurity expert to investigate the matter and her attorney said the FBI had opened its own probe into the alleged hacking. But the claim simply did not add up, and Reid ultimately acknowledged that she could not prove that she had been hacked. She apologized last month after the hacking claim fizzled. "Many of you have seen these blog posts circulating online and on social media. Many of them are homophobic, discriminatory and outright weird and hateful," she said on the April 28 edition of her weekend program, "AM Joy." "I genuinely do not believe I wrote those hateful things because they are completely alien to me," Reid added. "But I can definitely understand based on things I have tweeted and have written in the past why some people don't believe me." The newly unearthed posts about the September 11 attacks marks the third time Reid came under fire in the last six months for past writings on her blog. In December, she admitted to and apologized for other posts that likewise contained anti-gay remarks.